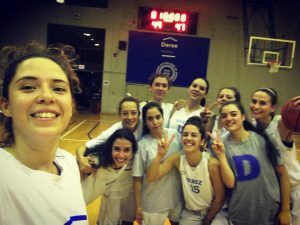 Congrats to our Women’s Basketball team for their win Wednesday night against AO Pikermiou. Despite trailing behind for most of the game, the team showed determination and never gave up the fight. In the final minutes of the fourth quarter, Deree turned the game around to end with a 49-47 victory! Well Done! The Men’s Waterpolo team played a friendly match last night against Olympiada Petroupolis and showed great energy in their offensive plays, leading to a final score of 17-13. Keep Up The Good Work!